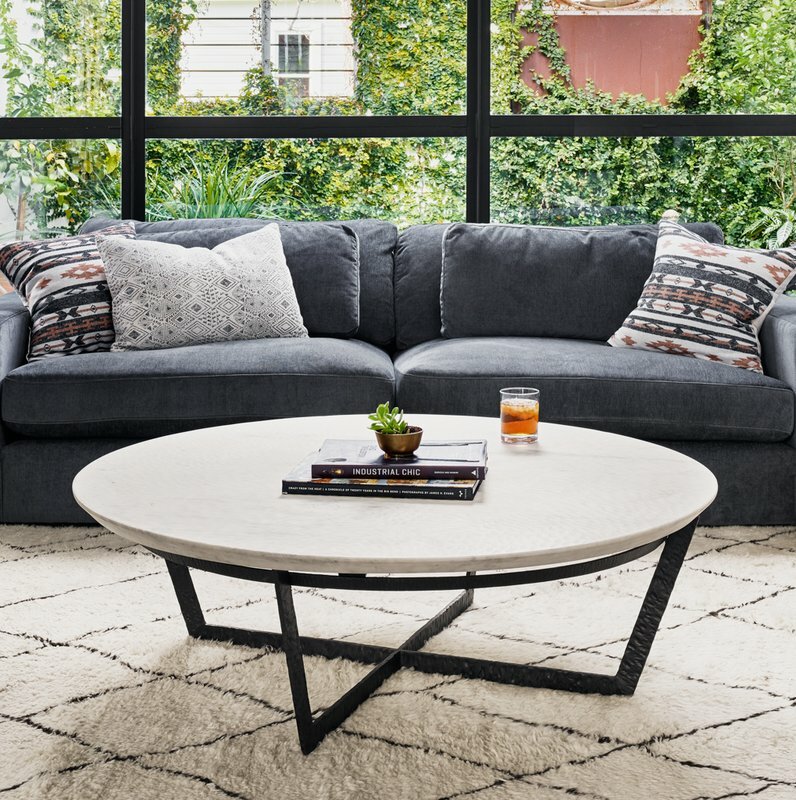 Low round marble coffee table Designed by Gordon Guillaumier Collection Cage $937.98. 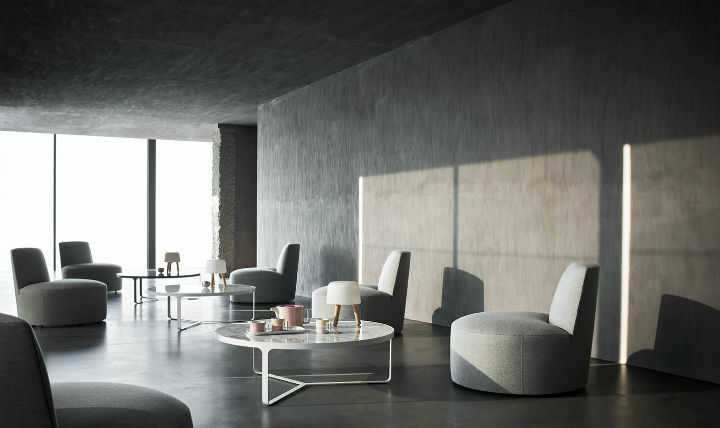 Minimalism and pure elegance characterize the Cage tables, whose precious top comes in different types of marble, round. The base can be white or black, while the top is available in Carrara marble, black marquinia or white calacatta. Find it on archiproducts. This Marble Round Coffee Table by Halewood Home, £310.99 (52% Off), has a design that fits in Scandinavian and contemporary designed interiors. Find it on Wayfair. Syrie coffee table, by Kate Sprade, $3,950.00. Because rooms should be mix-and-match affairs of hand-curated pieces acquired from travels near and far–plus pretty forever pieces, like this syrie coffee table. Find it on Kate Sprade. 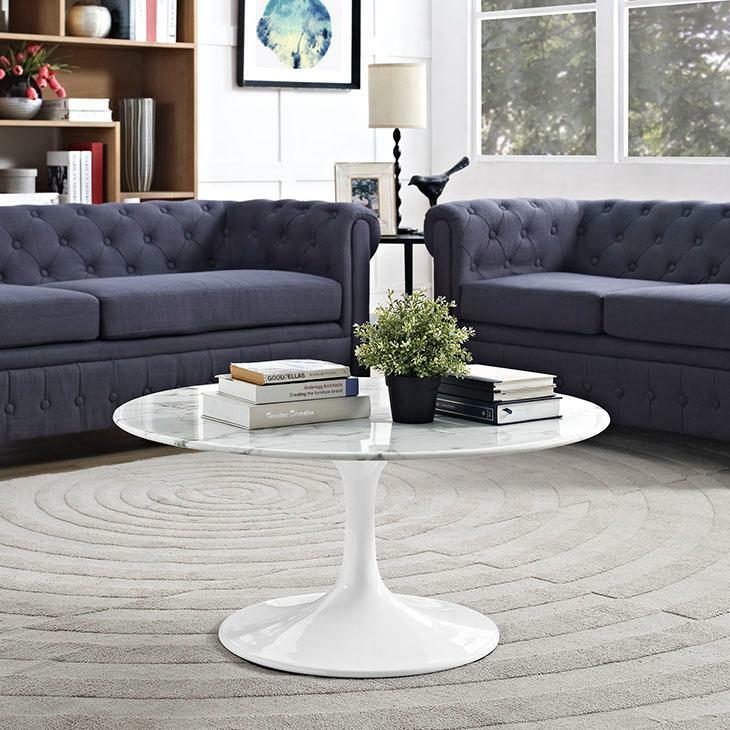 Iconic Mid Century Coffee Table, $530.15 & FREE Shipping. Reflecting a seamless organic shape and timeless form, the Lippa Pedestal Table has become a symbol of modernism for over the past 60 years. Find it on Amazon. Brushed Gold or Copper with Brown Marble or Brushed Gold, Copper or Stainless Steel with Matt White Marble, $2,490.00. 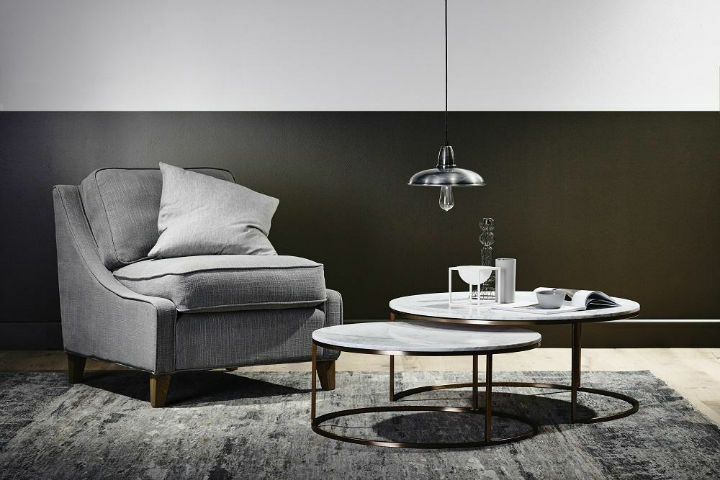 This coffee table will compliment any scheme: whether the setting is modern or vintage inspired, the luxurious marble finish and the stable stainless steel base adds structural and textural interest but also acts as a blank canvas for your living room. Find it on design wins. $1,469.99 (40% Off). 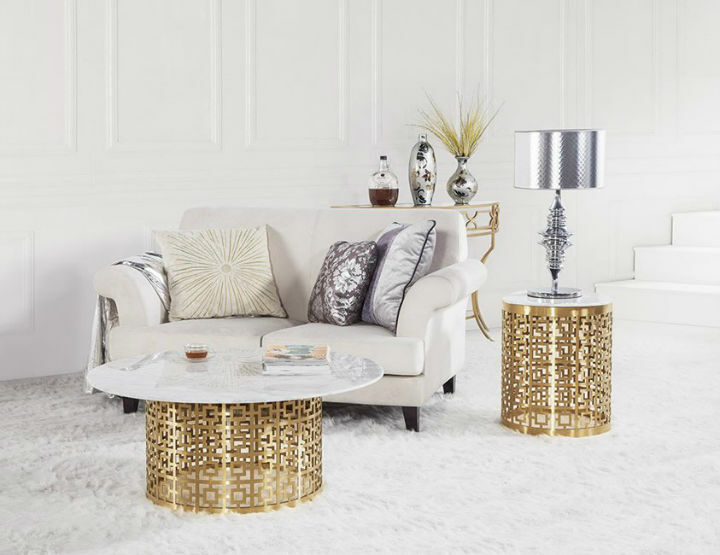 This coffee table is crafted of stainless steel with an open fretwork design and radiant gold finish. An inset gritted top completes the piece and lets you appreciate the sculptural base from all angles. Find it on Wayfair. 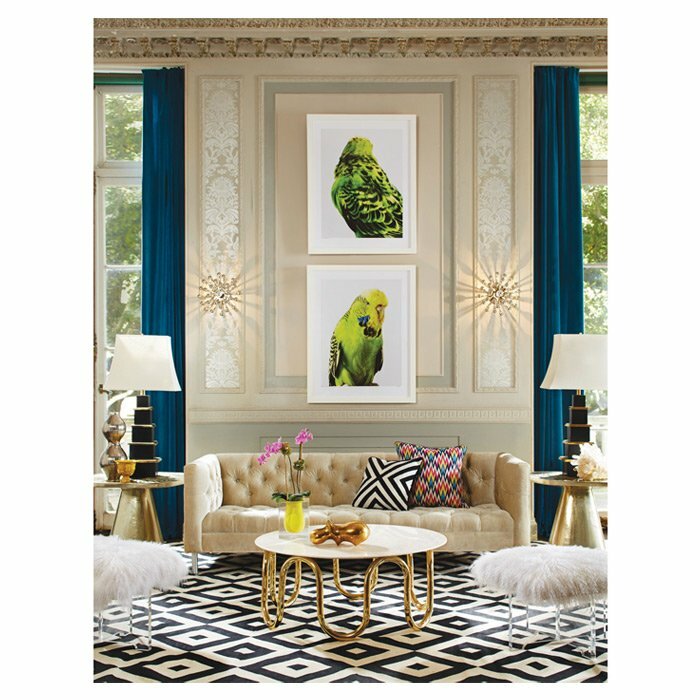 Scalinatella Coffee Table by Jonathan Adler, $1,750.00. 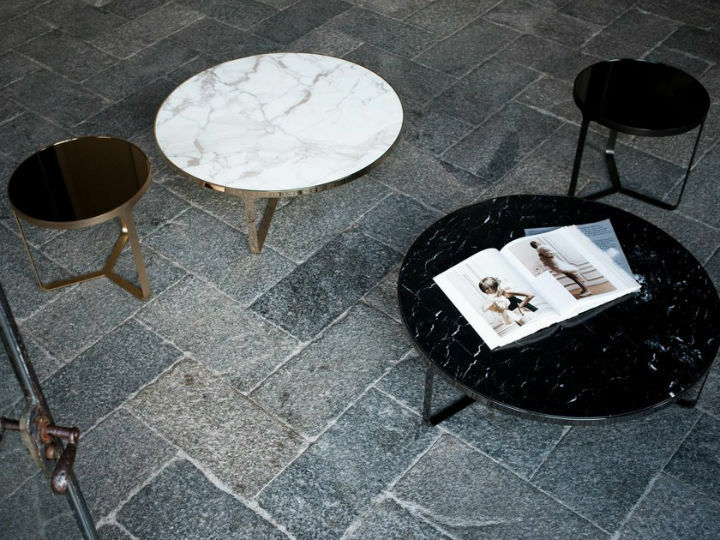 Scalinatella Cocktail Table is made from a single sinuous brass tube base with a Carrera marble top. Simple form, glamorous details, memorable twinkle. At home in a fantastical hotel in Capri or a Park Ave penthouse. Find it on Wayfair. 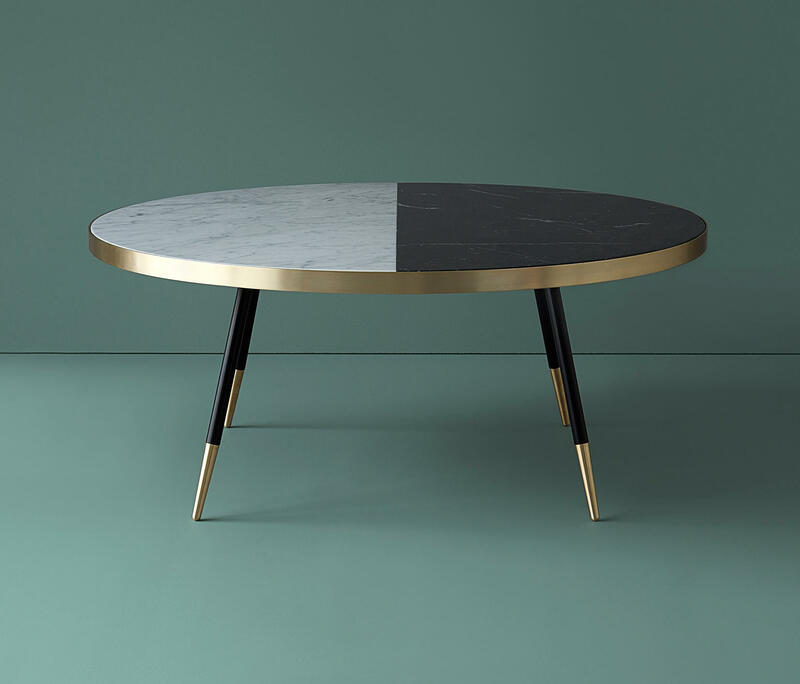 Bethan Gray has been inspired by pairing the natural beauty of coloured marble together with warm brushed brass to create her Band range of tables. For this range, solid marble is encased in a warm and elegant metallic rim to bring a distinctive, contemporary aesthetic to such a timeless material. The Band range is available with single colour marble tops or two tone options from the palette, which include the beautiful and sophisticated Rosa marble and a timeless Verde marble. Handcrafted techniques are then used to combine selected marbles in a striking and graphic pattern. Bases are powder coated in colours from the palette and combined with precision machined brass feet, hand brushed and finished by our craftsmen. 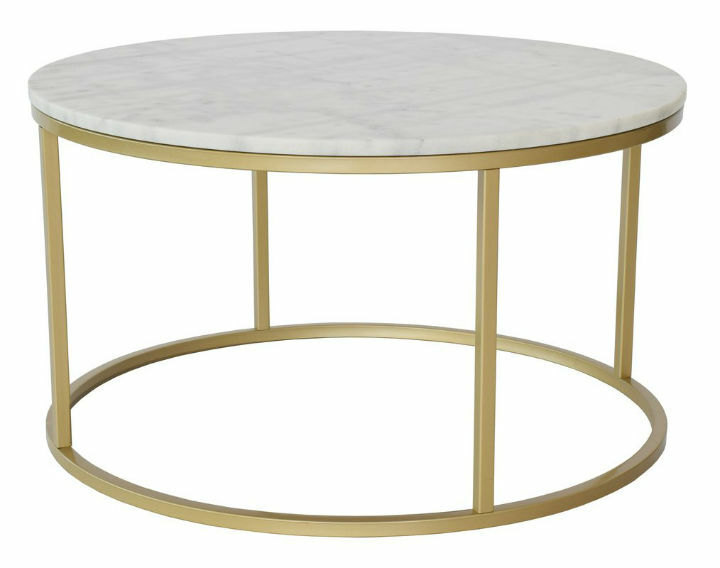 Marble-Topped Pedestal Coffee Table – White Marble/Antique Brass, $699. Shiny and substantial, it feels oh-so-sophisticated. Don’t be afraid to put your feet up. Find it on west elm. Rishi Coffee Table by Brayden Studio, $1,699.99. Elegant edge. A raw, iron base supports a round, white marble top, which is sandblasted for textured nuance and sophisticated polish. Find it on Wayfair.